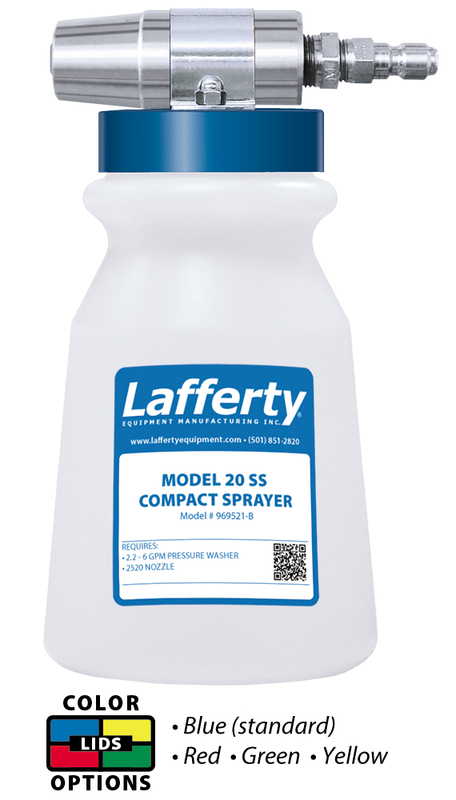 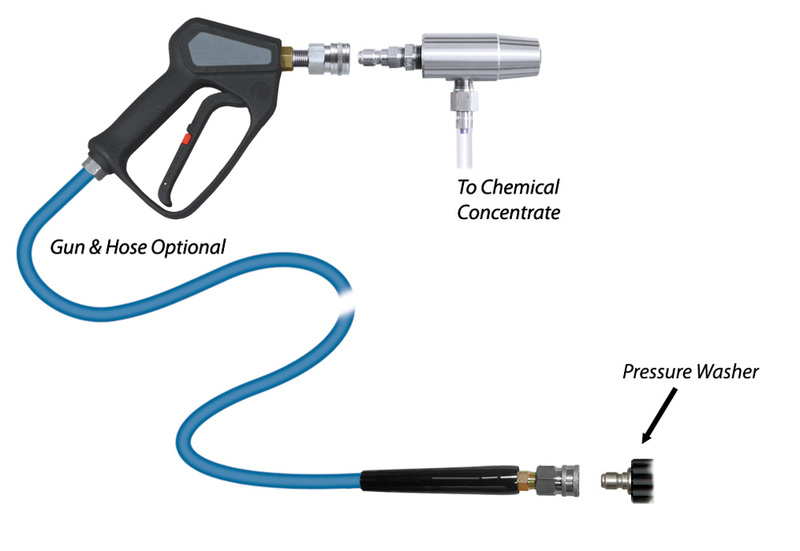 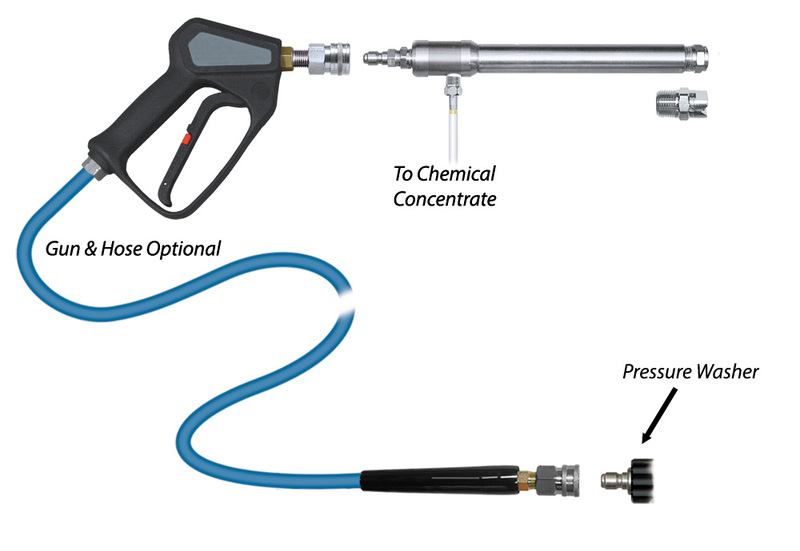 Pressure Washer Foamers & Sprayers | Lafferty Equipment Manufacturing, Inc.
Lafferty Pressure Washer Foamers and Sprayers use a pressure washer to dilute chemical concentrate and project liquid spray or wet, clinging foam. 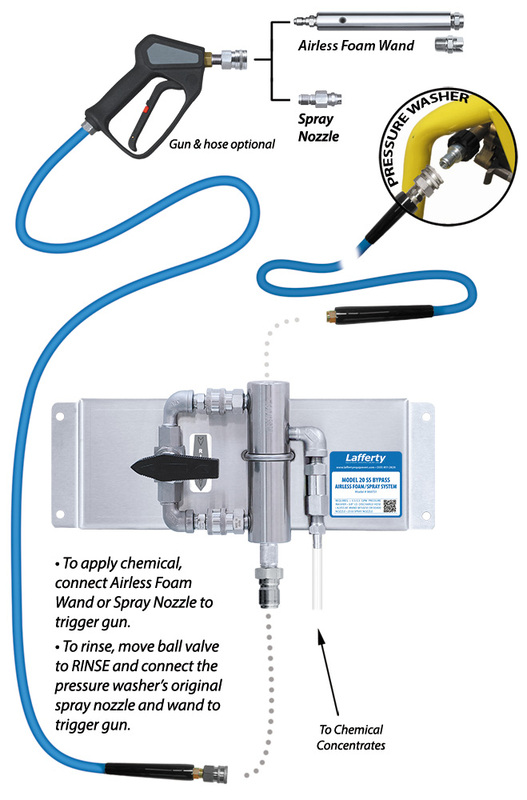 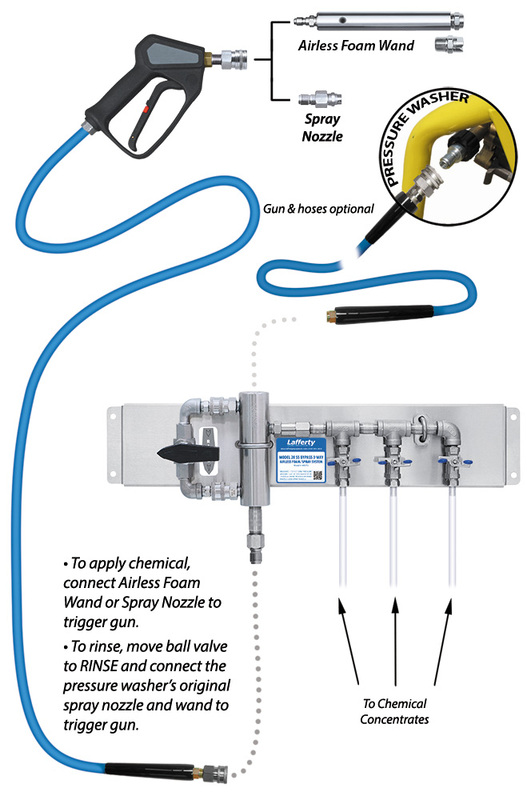 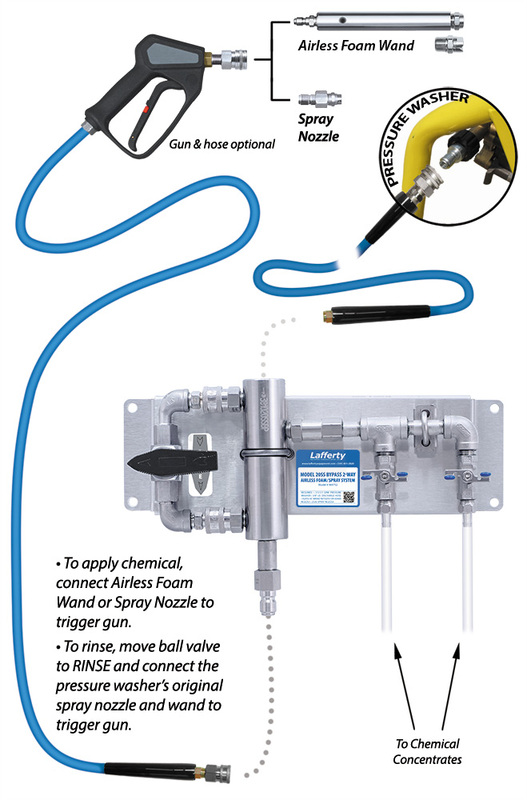 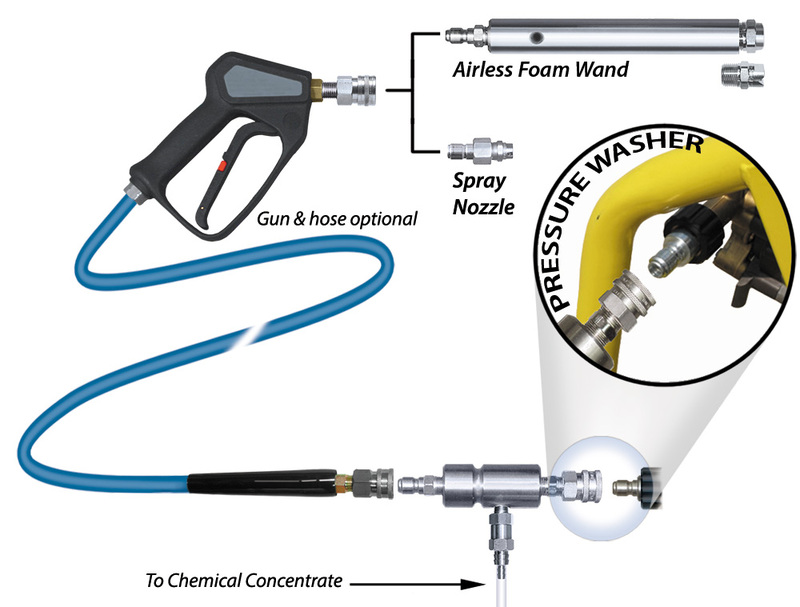 Lafferty Pressure Washer Foamers feature a stainless steel injector body and airless foam wand that are balanced to achieve maximum foam throw distance and superior overall performance. 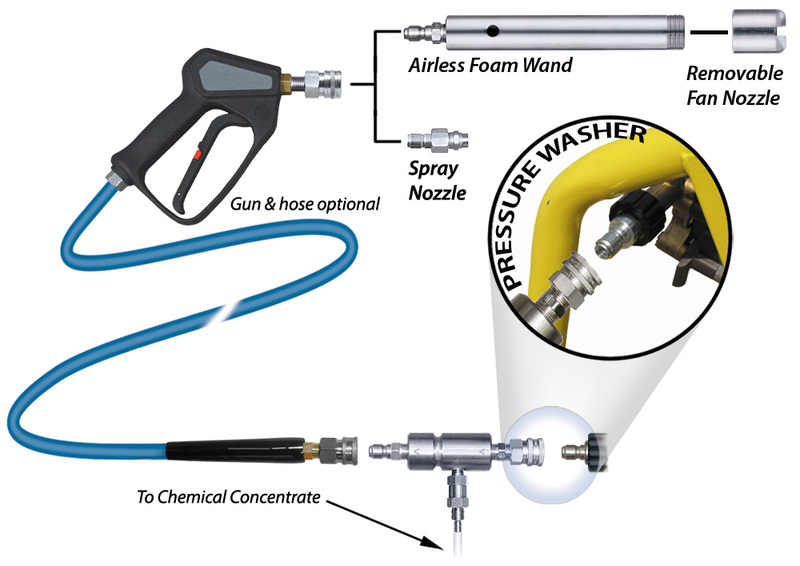 Spraying and Foaming Equipment is available in a variety of configurations for various cleaning goals and equipment setups.